From X-Men Vol. 4 # 13. Hellion convinces Broo, Rockslide & Anole that the students need to form their own official X-Team after 2 students are attacked. But before they tell the adults they want to prove themselves in the Danger Room. Two pages and a brief plot summary behind the cut. Edit: Anyone not able to see the images? They just randomly stopped showing up for me. Can you feel the looove? The bromance just keeps coming. To cheer my bored self up, some scans from X-men, To serve and protect #3. Started off my New Year by hitting my LCS and picking up my one hold from last week: X-Men: to Serve and Protect #2. And naturally, my first S_D post of the year is going to star Anole. Two pages from X-Dudes under the cut. Rockslide: "Let's fight crime." Anole: "What?" 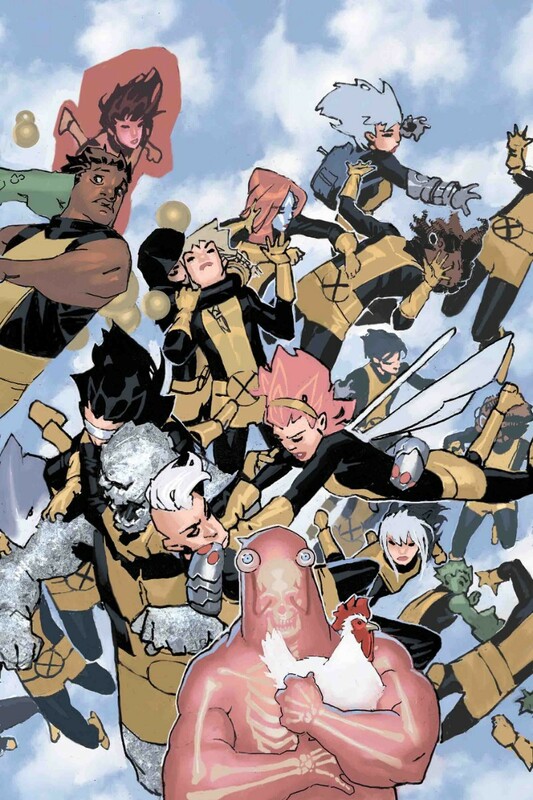 The first issue of X-Men: To Serve and Protect came out and it rocks. Anole and Rockslide fight crime. It is awesome. And if that wasn't enough, Batroc, Ze Leaper! Three pages from CBR's preview of X-Men: To Serve and Protect. Because I'm an Anole fan.